A couple of years ago, we had the opportunity to take a break from work and decided to head to South America. 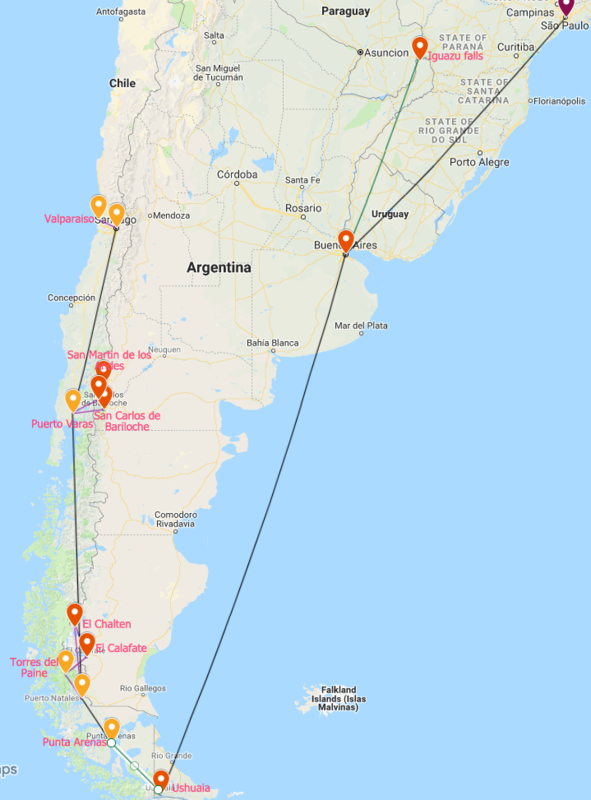 We spent a month travelling between Argentina and Chile in April. We were amazed by the diversity of landscapes we had the chance to cross: glaciers, lakes, a tropical forest, waterfalls and snowy mountains in Patagonia. Argentina and Chile had it all. 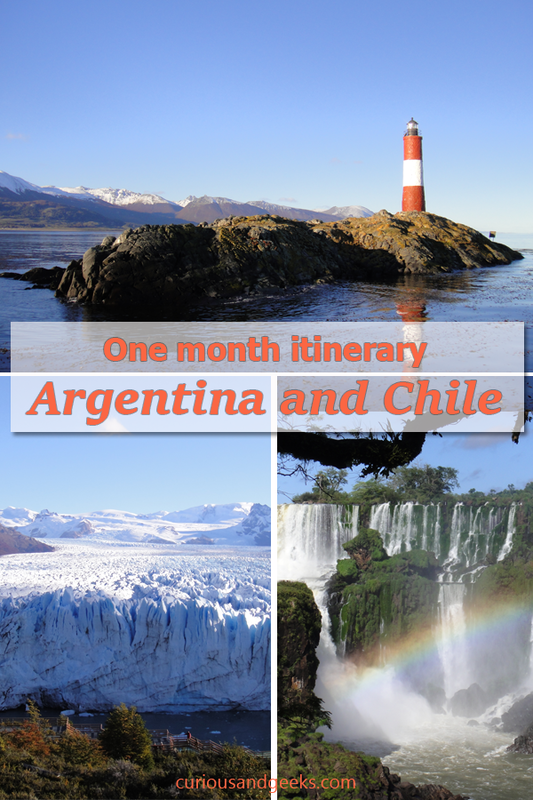 This one month Argentina and Chile itinerary will give you an overview of the key stops of our journey. 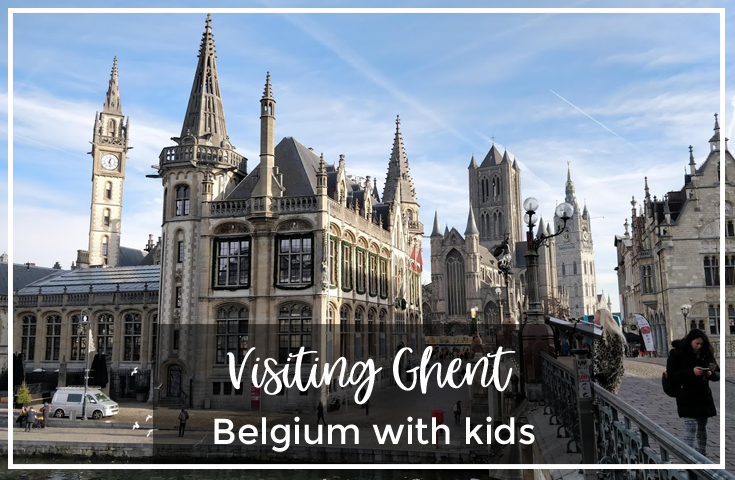 Due to the size of the two countries, we had to take some internal flights and buses to reach the different locations. It might be possible to replace some flights by buses. They can be very comfortable if you choose a cama seat. You can adjust your seat to a 180 degrees which is very much recommended for your overnight trips. You will find Tvs on board and a meal could also be included if your trip is long enough. 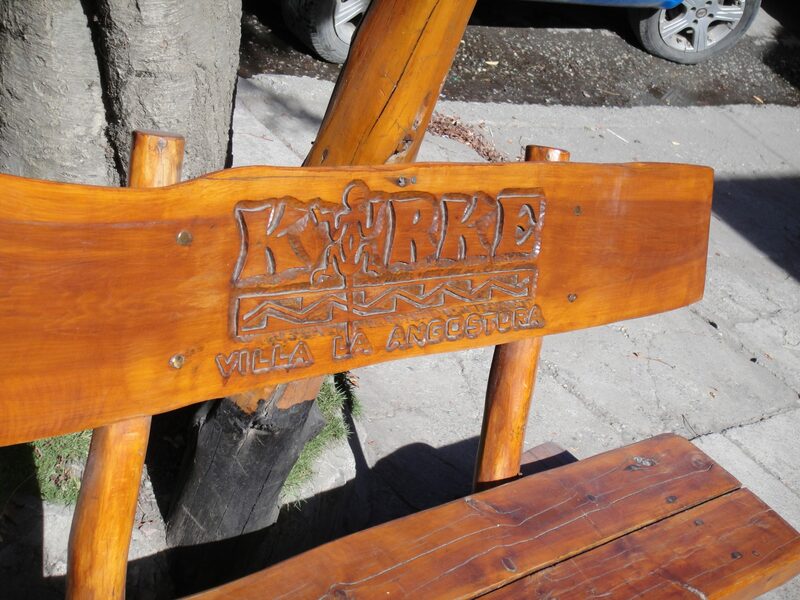 Besides buses and flights, we rented cars in Bariloche, in Patagonia and in Ushuaia, and a bike in Buenos Aires. 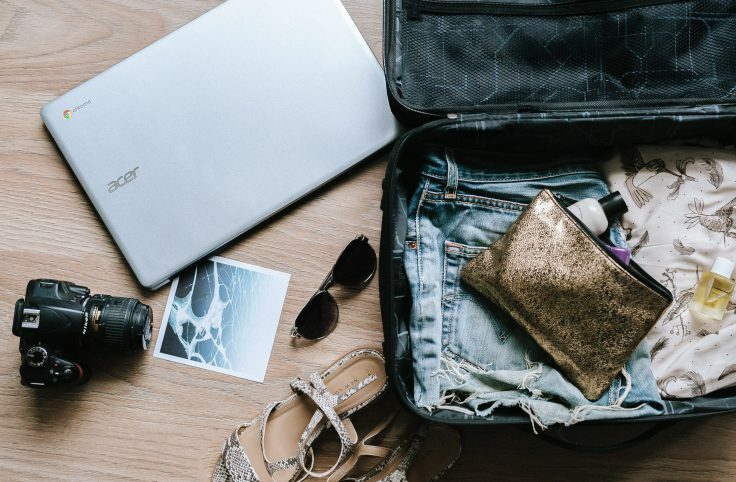 Argentina and Chile are not cheap countries, so you should expect to be spending around 50 pounds per day per person including accommodation and transportation. 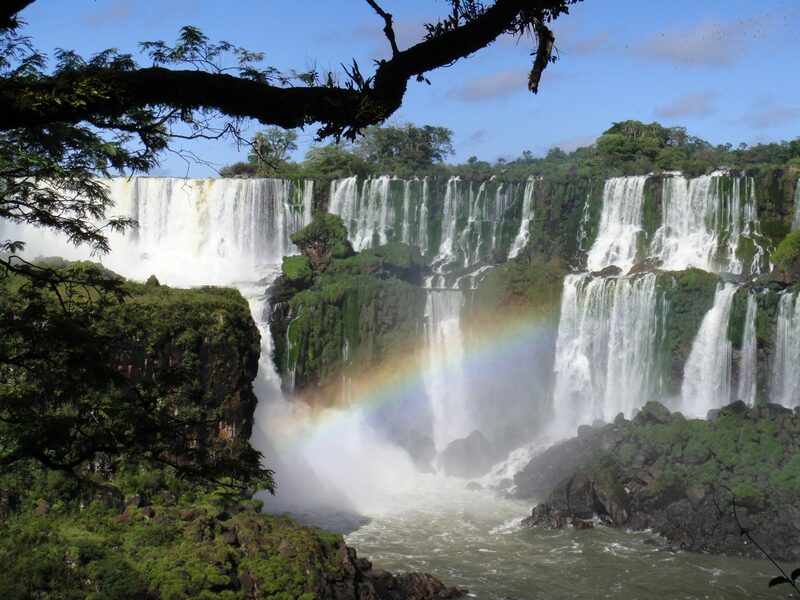 Since our trip, the bus prices have increased significantly and you can expect to pay around 90 pounds for a round trip from Buenos Aires to Iguazu on a cama seat. For a budget dinner, count between 4 to 6 pounds per person. For a budget hotel, count between 13 to 25 pounds per person. The pronunciation is slightly different as they tend to pronounce the ” ll”, as a j or che – Como te llamas becomes Como te chamas in Buenos Aires. 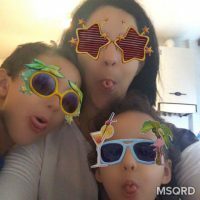 ¿Puedes hablar más despacio por favor? Other than that, people spoke English in a lot of places both in Chile and Argentina. The food resembles a bit to what you would eat in Europe. You should definitely try their meat empanadas and without a hesitation their steaks!! They are to die for. The rumor is also true, we were able to cut a steak with a fork (only happened once though, in El Chalten). You can find pasta, pizzas easily as Argentina has a strong Italian influence . As you will be crossing huge distances between the different places, I suggest you check the weather in each one before deciding what to pack. For instance in April, during our travel, it was snowing in Ushuaia and the temperature was around 26°C in Iguazu. Santiago was our first surprise. Before Chile and Argentina, we went to Peru and didn’t really enjoy visiting Lima so we were a bit worried. On the contrary, we found Santiago to be very dynamic and cosmopolitan capital, we enjoyed wandering around the contrasting neighborhoods. One day is definitely not enough and you should spend a bit more time if you want to see what Santiago has to offer. 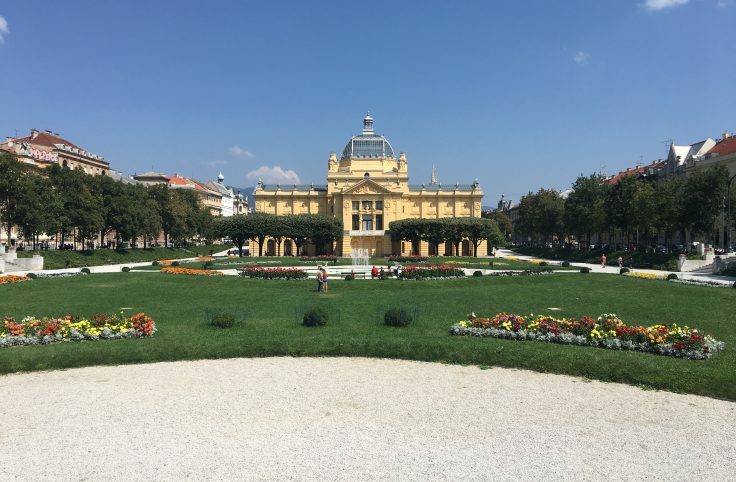 In the historic district, make sure you stop by Plaza de Armas, La Moneda Presidential Palace, La Casa Colorado, San Francisco Church and Museum. Visit Cerro Santa Lucia and Cerro San Cristóbal for some lovely panoramic views of Santiago and the Andes. 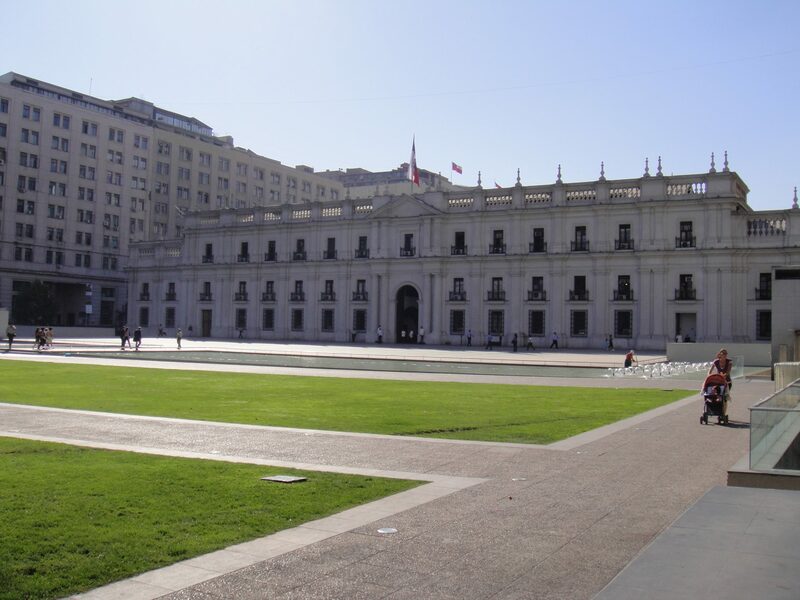 Visit a museum and learn more about Chile. Immerse yourself in the Chilean culture by visiting some street markets, don’t miss the mercado central. 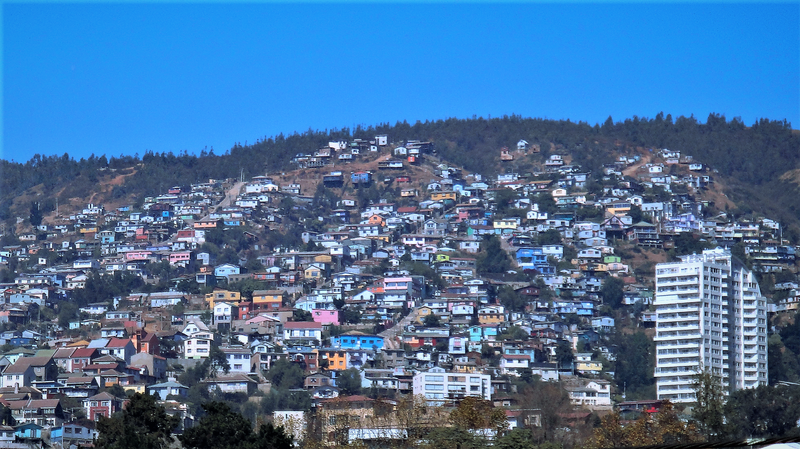 We took a bus from Santiago to Valparaiso and started by visiting the Sotomayor square, the port and Echaurren square before climbing the hills and admiring the street art. We took the funicular on our way back. We then took a collectivos and headed to Vina del Mar, a town right next to Valparaiso, where we admired all the sand structures and enjoyed a rest in front of the beach. From Santiago, we took a plane to Puert Mont and drove to Puerto Varas. 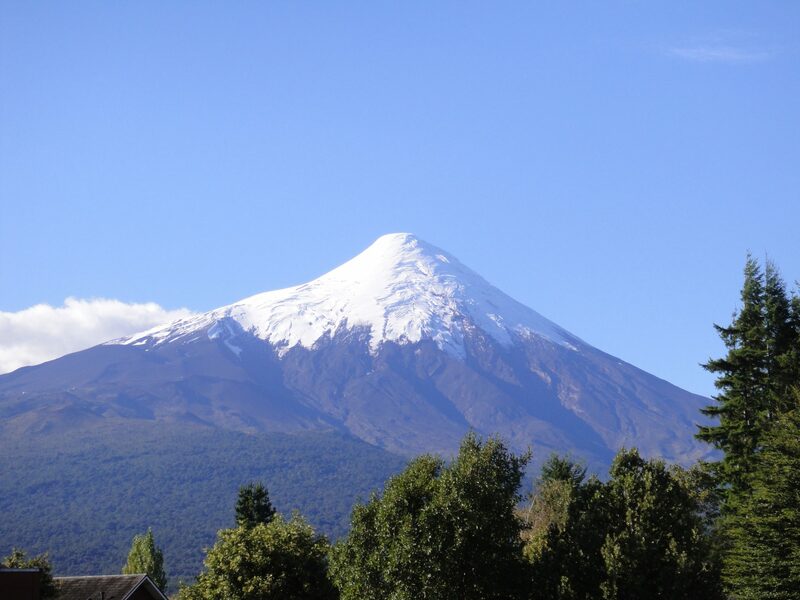 We visited Puerto Varas on our first day and admired the stunning Osorno and its snowy peak. The day after we took a boat on the Todos Los Santos lake and crossed the Perez Rosales National Park. We finally stopped at Petrohué Waterfalls. 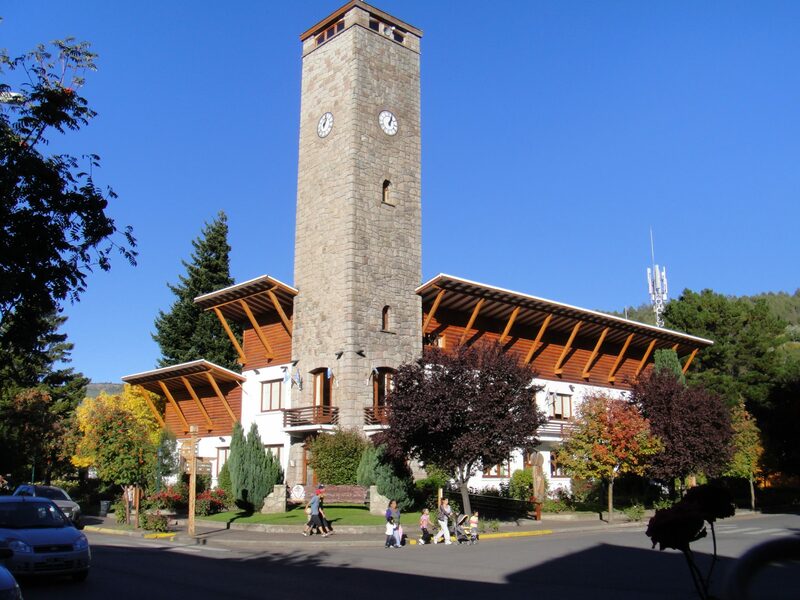 Bariloche is famous for being one of the best ski resort in the south hemisphere. It is a cute city by a lake, surrounded by mountains. Cerro Campanario is a place where you can get the best views of the area. We took Ti get the best views, Cerro Campanario is your spot. 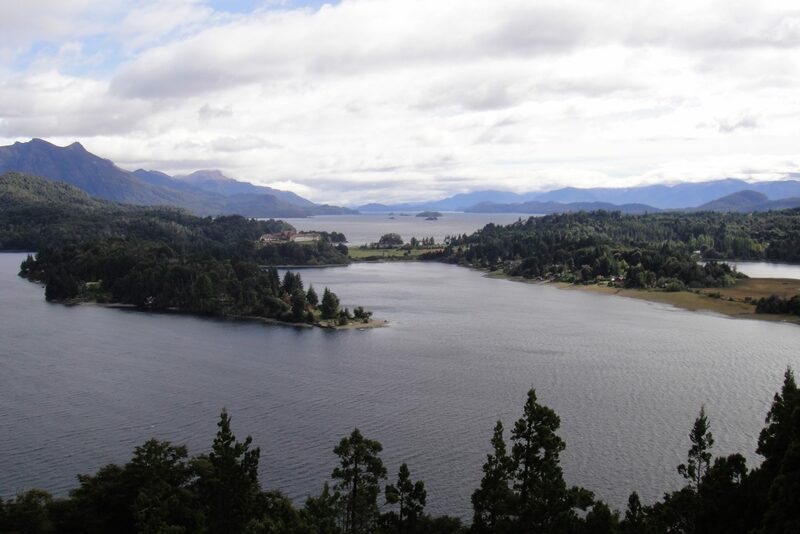 We took a chairlift to get to the top and were astonished by scenery of the Lake Nahuel Huapi in its entire splendor. We then took a boat ride to the picturesque Quetrihué Peninsula for a walk around one of the last arrayán forest. In between Bariloche and San Martin we made numerous stops to take pictures of the amazing lakes and mountains. San Martin was a very quiet, picturesque and charming town. 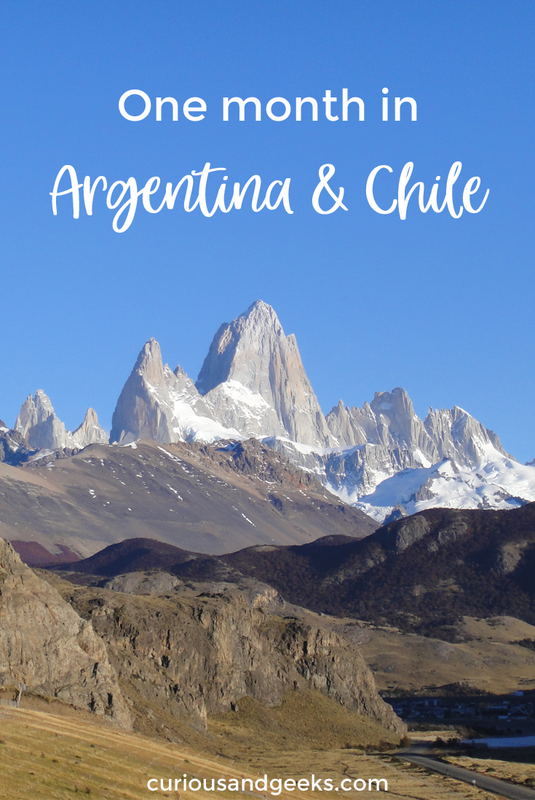 It is a great place with a lot of activities and day-tours: you could go on a mountain bike tour, kayaking, skiing or snowboarding, ..
We opted for an easy hike to Mirador Bandurrias where we had great views of Lago Lacar. We do live hiking and will often choose to do that as you will see. The famous Seven Lakes road that rallies San Martin to Villa Angostura did not disappoint. It was amazing to cross these landscapes, to see the bright blue lakes and stunning mountains. Villa Angostura was a small and charming wooden town, where we had lunch before going on a hike to a nearby waterfall, Itacayal. We met a dog at the starting of the hike and he decided to join us. It turned out to be very handy as at some point we found ourselves in an unknown path, and the dog helped us found our way back. 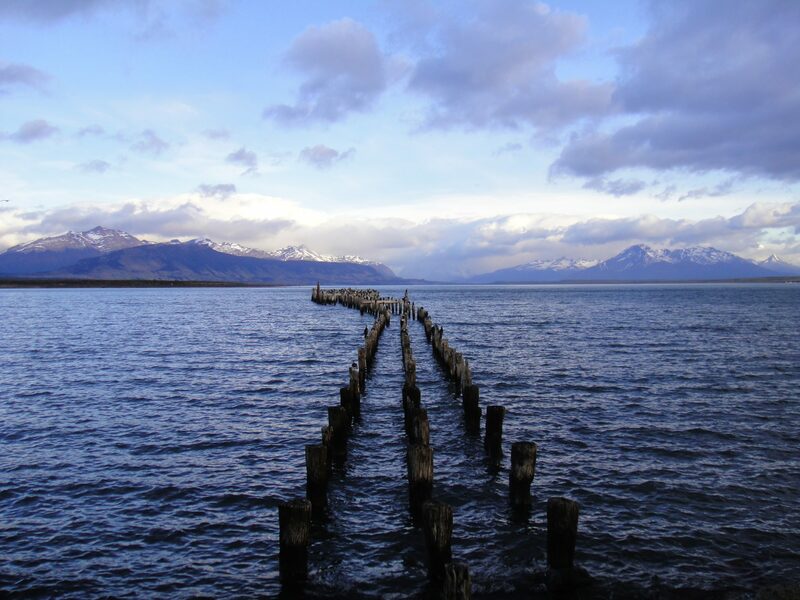 Puerto Natales is the closest big town to Torres del Paine, but it was also our starting point for El Chalten and El Calafate. There wasn’t a lot to do but among the places we went were, the condors nests which allows for a nice hike, the Milodon cave and the Monumento de la Mano. 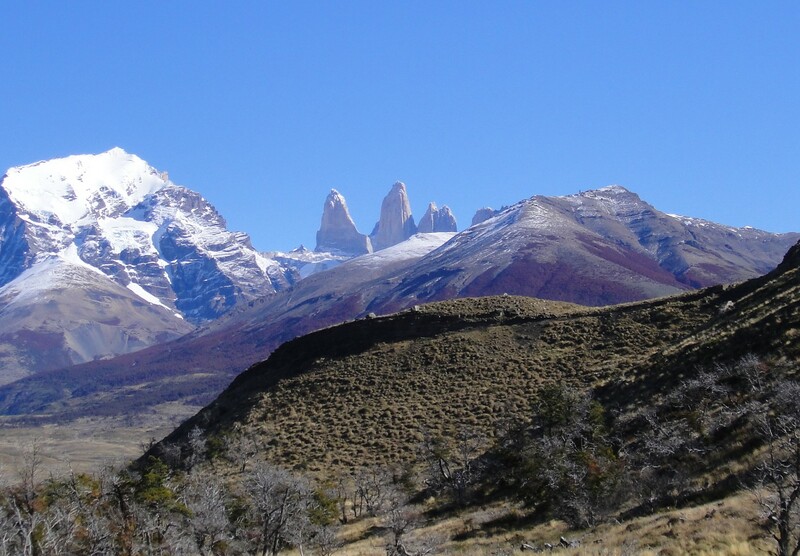 El Chalten is a little town located in Los Glaciares National Park and is famous for being the trekking capital of Argentina. 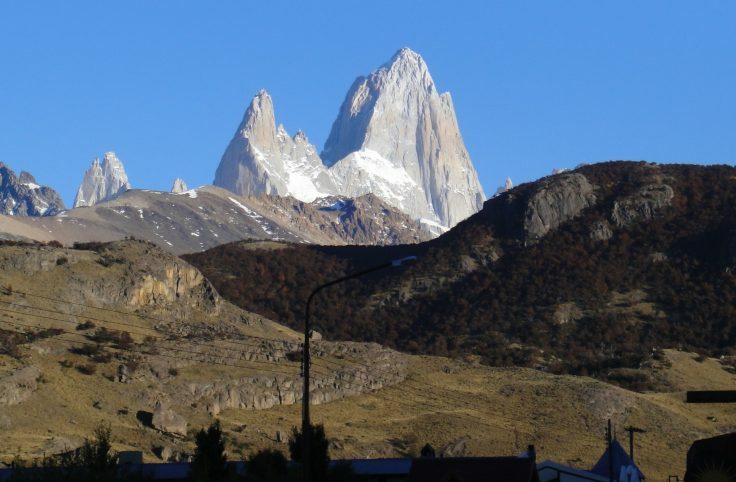 You can admire the majestic Fitz Roy from the middle of the town. There are a lot if different treks you can choose from. We started by Laguna Torre, an easy hike which is 22km long and takes around 6 hours. On the next day we went for the Laguna de Los Tres trail, which was a bit harder (more climbing required and my knees at that time were not in a very good shape). It took us around 9 hours to walk the 28 km back and forth. Both hikes were impressive. As a side note, at the time of our visit, there was a very poor internet in El Chalten, so do not wait until there to plan your activities and do not expect to be spending your nights on Netflix! Although after the hikes and a good dinner, it’s likely that you’ll prefer a book in a comfy bed. We loved admiring the Perito Moreno Glacier and listening to the sound of the ice breaking and falling in the water from over 70 meters. As we wanted to see more of it, we also went on a boat tour to get closer and have a better feel for its size. 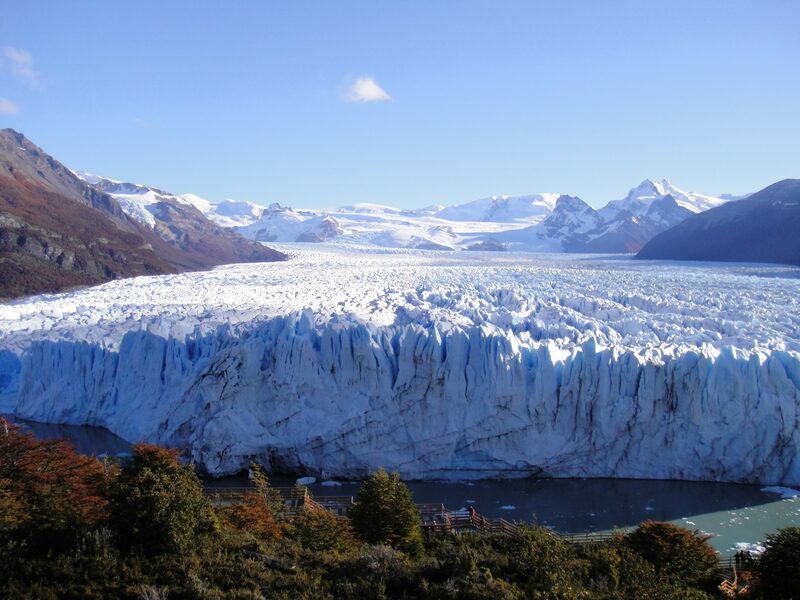 You could choose to go for a glacier walk instead. Beside the glacier, we visited the Laguna Nimez Reserve and saw a lot of different birds as well as pink flamingos. If you have more time, you should go for the W trek which is a 4-5 days trek that is said to be amazing. 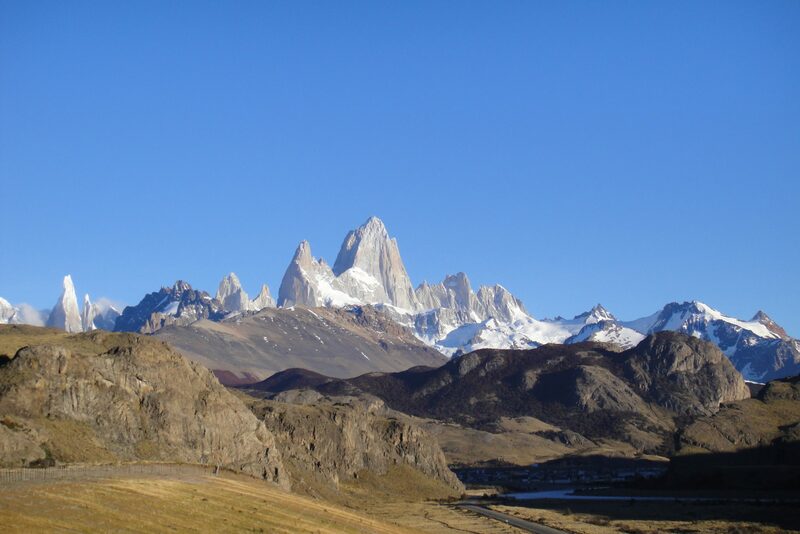 Torres del Paine is definitely a must-see in Patagonia, not only for its stunning towers, but for the landscapes, the glacier, the lakes and the wildlife. We went for different short hikes and a visit by boat to the Grey Glacier. Ushuaia, the end of the world or fin del Mundo as can be seen on a sign near the port. 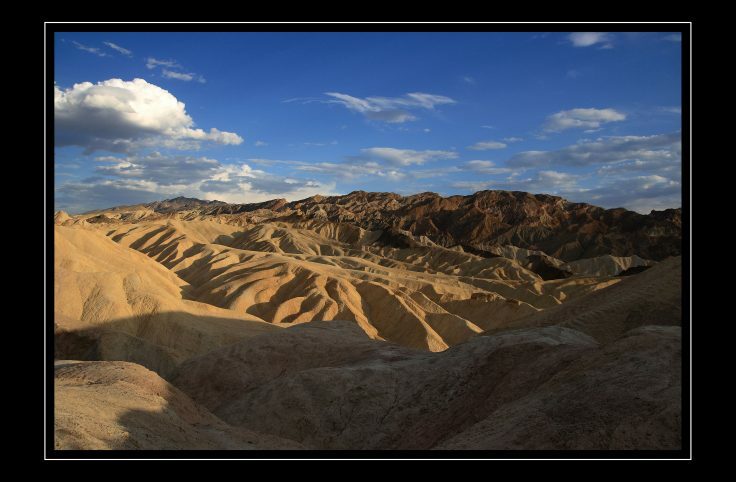 The dramatic scenery and the surroundings will captivate you. 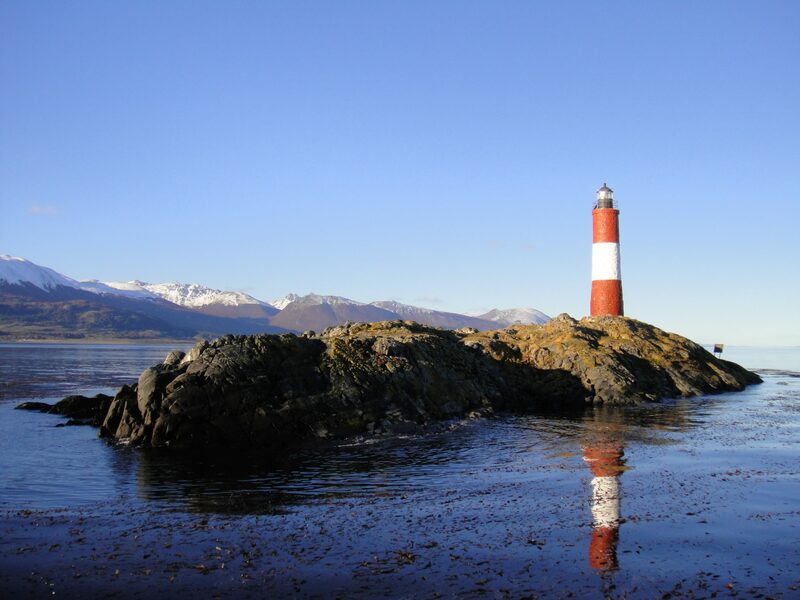 During our days there, we went on a day trip to the famous Tierra del Fuego National Park, took a boat (yes, we took a lot of boats during this trip!) to Les Eclaireurs Lighthouse. 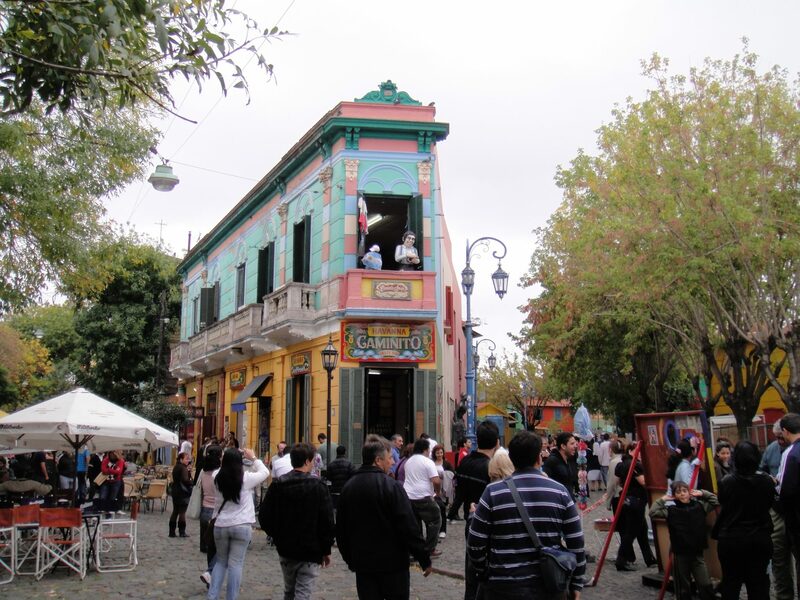 We enjoyed wandering around, visiting the colorful La Boca and its football stadium, going to the Zoo, renting a bike and ending up in Parque 3 de Febrero, learning Tango (trying to be more accurate), enjoying the famous Argentian beef and watching a polo game. We took an overnight bus to Iguazu and spent 16 hours on the road. It was definitely worth it. We visited both sides, the Argentinian side and the Brazilian side, took pictures at the Devil’s Throat viewpoint. You could probably do the visit in one day but we preferred taking our time. On our way back to Europe, we had a connecting flight in Sao Paulo. 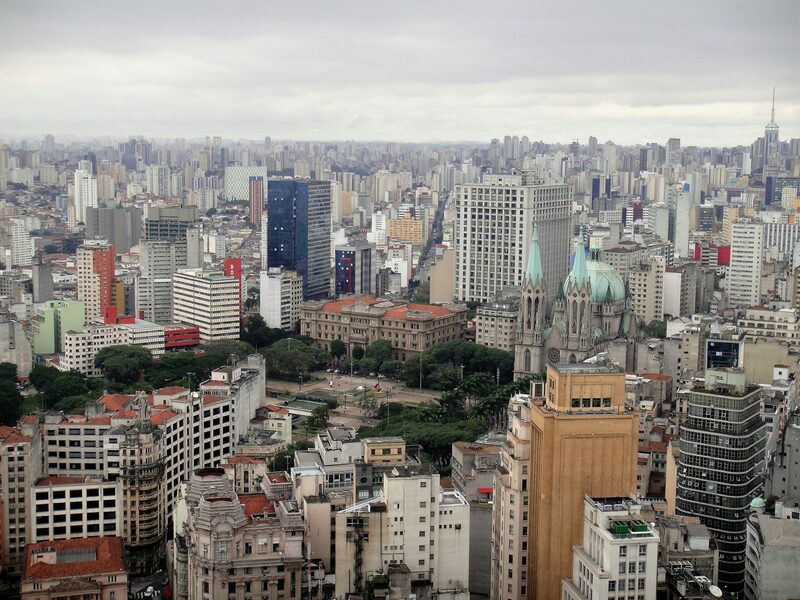 Instead of waiting 10 hours in the airport, we decided to head to Sao Paulo downtown. We wandered around for a couple of hours, admired the cathedral, climbed in the Banespa building, one of the highest skyscrapers in São Paulo and saw the iconic Copan Building. We then headed to Avenida Paulista, which is the main avenue of São Paulo and home to designer shops and modern offices. And that was it for our month in South America. 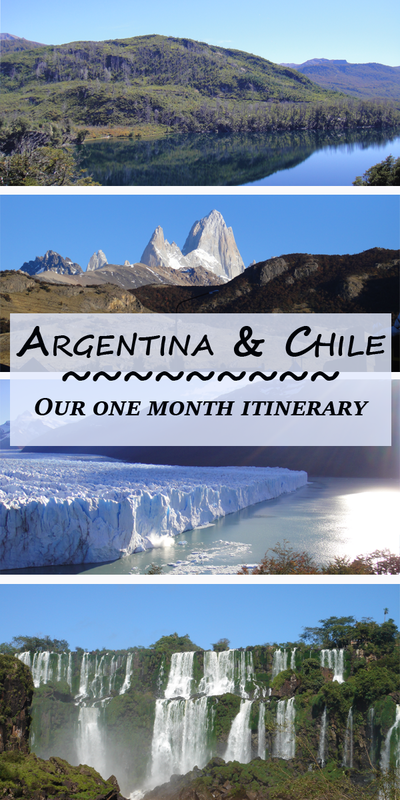 Have you been to Chile or Argentina? What were your favorite spots?